Thank you for your interest in Bracu as a venue for your special day. Your wedding is a personal and intimate occasion. The decision on your venue is often the first and most important one you will make as it becomes the heart of your celebration. 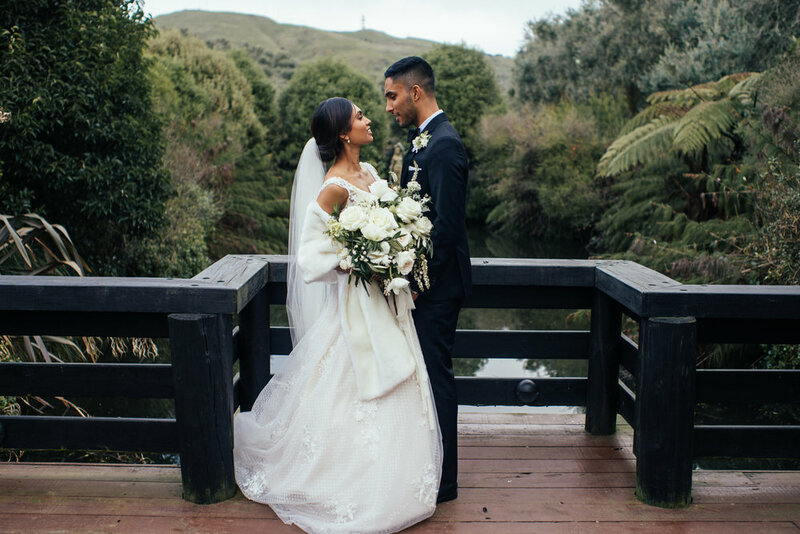 Bracu is an exclusive venue offering intimate luxury, nestled amongst the romantic olive grove of the renowned Simunovich Olive Estate, only 40 minutes south of Auckland. The combination of classic charm and state of the art facilities make Bracu the perfect choice for celebrating your day in style. The options for delivering your special day are endless and our wedding experts will work closely with you to ensure all of your dreams are fulfilled. To download our latest Bracu Wedding Brochure, click here. As we can never guarantee the perfect climate or weather conditions, Bracu provides a luxurious one-stop wedding experience with multiple ceremony venue options. Bracu Pavilion is an exceptional venue which delivers a statement of style and elegance. Nestled amongst the olive grove and beside a beautiful lake, it provides a unique and tranquil setting for your reception. Our Head Chef Logan Clark leads a talented team, delivering culinary delights that will leave your guests talking about the food long after your big day. Logan uses the freshest seasonal offerings from passionate local producers and the Estate’s own gardens in his elegant and contemporary cuisine. Bracu can cater to most dietary requirements, offering canapés and set menus. Please contact our Wedding Consultant to discuss your preferred dining style. Looking for a way to relax or let off steam before the big day? Why not experience some of the fun activities we have right here on the Estate. Activities include clay bird shooting, air pistol shooting, air rifle shooting, archery and knife throwing. Single or multi-activity packages are available and can be easily integrated with dining options from Bracu Restaurant. For further information or to arrange an appointment with our wedding consultant please complete the following online form.